One of the Environmental Protection Agency’s latest regional administrators is in line with the rest of its leadership: She’s a climate skeptic. Anne Idsal, the former chief clerk for the Texas General Land Office, is now in charge of overseeing five states and 66 tribes through the EPA’s Region 6. This includes Arkansas, Louisiana, Oklahoma, New Mexico, and Texas. “Anne is an accomplished lawyer and civil servant who will make an immediate impact in providing positive environmental and health outcomes as a regional administrator,” said EPA Administrator Scott Pruitt, in a press release earlier this month. Will she, though? On her second day on the job as the regional administrator, The Texas Observer interviewed her and made the perhaps predictable discovery that she uses climate denier rhetoric. When asked about climate change, the 34 year old told the Observer there’s “still a lot of ongoing science.” She went on to say “climate has been changing since the dawn of time, well before humans ever inhabited the Earth.” Idsal admits “it’s possible” humans have impacted the planet, but she doesn’t know how much—even though 97 percent of climate scientists agree people have and are. In her new position, Idsal is tasked with overseeing the recovery from Hurricane Harvey, from which Texans are still reeling. Another of the region’s key issues is the continued response to the 2015 Gold King Mine spill in Colorado, when the EPA accidentally released more than 3 million gallons of wastewater into surrounding land, including Navajo Nation territory and water. As recently as September, the agency was still implementing prevention technologies to avoid a future disaster. Now, Idsal will be calling the shots—especially when it comes to funding and prioritizing where the region’s money goes. Is anyone surprised, though? The EPA has been pretty clear about how it views climate change. 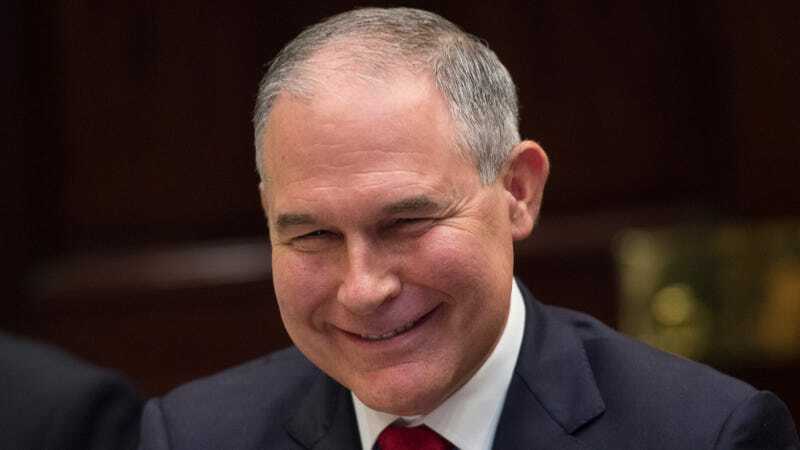 Administrator Scott Pruitt sure hasn’t kept his denial secret. The Midwest’s EPA chief, Cathy Stepp, is another denier. Seems like Idsal is right on beat with the rest of her colleagues. Earther reached out to the EPA Region 6 office for comment and will update if officials respond.